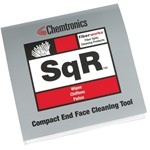 Chemtronics is the industry leader for fiber optic cleaning products, providing performance, convenience, time savings and cost savings. 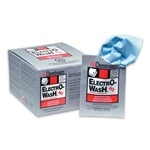 A wide variety of wipes are available that are designed specifically to clean fiber optic connectors. 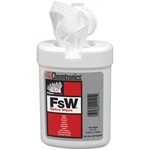 Dry wipes are ideal for controlled solvent application needed for the Combination Cleaning process. 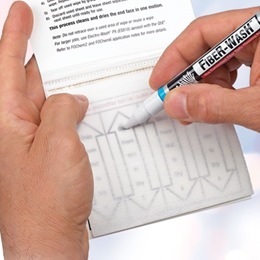 Presaturated wipes add convenience, especially important for field applications. Transmission speeds and data capacities are measured in gigabytes, terabytes, petabytes, and beyond as networks evolve beyond copper to fiber optics. This requires well-trained technicians with effective cleaning processes and materials – the critical first step before test and deployment. A cleaning process must be effective on a wide variety of contamination and across all zones of the end face, or the resulting interference will negatively impact transmission rates and reliability.